For example, your app icon would be blue and black and your logo on printed shirts would be red and black. I'd avoid this at all costs. You want your company to be as rememberable as possible so consistency and repetition is key. People recognize andr remember patterns so use this to your advantage. You need to keep a consistent visual language across all touch points so people remember you and associate a look and feel to your company and your product. I'd pick one and stick with it - and if you aren't sure which one to select, do some split testing to check performance. I suppose the Yes/No answer would have to be a "No", however, there are some considerations. The purpose of a logo is to build recognition by repetition. Therefore, diluting the logo with variations (be they in shape or in color) are likely to decrease its effectiveness since the consumer would take a little longer to reach the point of instant recognition. Having said that, if you feel strongly about having logo variations (perhaps to represent different products that you're offering? ), try keeping a core of the logo unchanged and build variations only on certain elements. The most notable example that I can think of is FedEx: see http://i.stack.imgur.com/GGATc.png. You mentioned printed shirts so that brought up the topic of branded merchandise. If your brand will be present on a variety of merchandise, keep in mind that many colors won't look good against certain backgrounds and textures. If you must have / offer merchandise that comes in both very light and very dark backgrounds, it'd be a good idea to let your designer know that before creating and settling for a color scheme. Absolutely! In fact you should design your logo with this in mind. There's so many poorly marks that don't hold up these days. If your mark holds up to all that...You need not worry so much about how it looks on screen. Just don't go wild with the color. I mean some brands do, right? You see logos in all sorts of color. It's the mark that matters. However, I'd suggest having an overall color scheme you stick to. You should have a brand style guide and it should be used and given to all designers for all purposes from web to print. 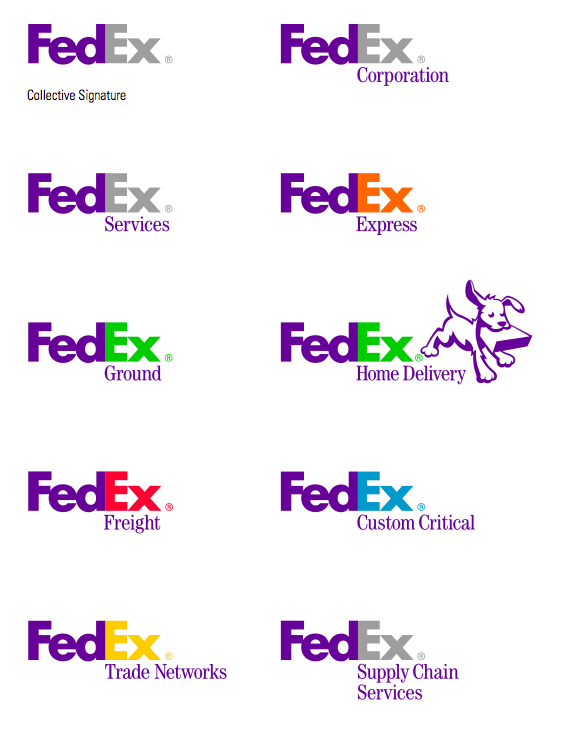 The idea of a fixed color for a logo is valid for medium or large size corporations. A start up may be smart and client focused. The logo color is an instrument to talk to the customer heart. As long as it is consistent and planned in advance, a logo may have a color palette (an expessive one) and use it according to diferent audience. There is exempoles of Fortune 500s logo that follows such policy, for exemple: Apple, Citi, Coca Cola, Yahoo, Googlr. This is what I call the Camaleon Law. In America, use red and blue, in Brasil, yellow and green, and so on. I will be very happy to give you insight about how to build an effective brand identity. I would only say “yes” if you are Google but my guess is that you are not. If it is a corporate logo and you are just starting to build brand recognition, then you will want to make sure your identity stays intact and establish guidelines around how it is used (brand standards style guide). If you are wanting sub brand products/services under the parent brand, you can use elements within your logo and use different colors to identify the sub brands but make sure they all look like part of the family. A logo is only your visual identity and does not create your “brand.” Your brand is created by your clients/customers. There is a yes and no answer here. If your brand is going to "stay in place" and offer a single service, then NO. If your company services different locations or different products, that can be good enough reason to have a different color schemes, then YES. However the logo itself (lettering & symbol) should not change. Just remember that some professionals with a design/graphic background may be too opiniated on this (with good reason, for most), but don't waste too much time around the logotype if you have other more pressing problems (marketing, sales, like some of my consulting clients). This is absolutely fine as long as you create and incorporate it into your branding guide and keep it consistent. You should define theses alternate logos, and then creates rules around how they are used and when it's appropriate. But above all, what is the REASON you want to use different colors? If it's "just because" then no, you shouldn't. Keep in mind, the branding of your logo is about being recognized and creating an emotional connection with your customers that makes them feel they trust your product and your message. Changing your logo constantly means your customers no longer recognize you as easily. In a world where people's attention span is about 5s, having different color schemes would not only contribute to reduce your target's attention span but also create confusion that would annihilate whatever your target remembers about your brand. Consumers typically accepts different color schemes when having B&W vs color. See the following examples of good color branding. IMO, people get a "disconnect" when the colors are all different. What's the reason for the different colors? So, I think the thrust of the answers are: "No"... Unless you have a good reason to do so. So, brutally, I wouldn't waste another minute of your precious brain power on it unless you have a tangible reason that is CUSTOMER focused and makes it a very valid reason to do so. Otherwise you are just distracting yourself from your core business activity with meaningless design (art) activities and neglecting your business. If the logo is distinct enough-- I say break the rules. This kind of codification could show flexibility, confidence if done right. I suggest keeping it in the color family-- all cool --- or all warm colors. Maybe charcoal vs black?